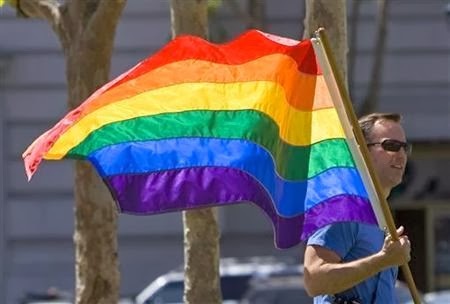 Snail Hollow Gazette: "Gay" in the News: Arizona and "NO GAYS ALLOWED"
Why do homosexual advocates insist that the Arizona law will result in "NO GAYS ALLOWED" signs? They seem to have reasons of their own. Some analysis of the new law concludes that discrimination is already legal and permissible under current Arizona law. If businesses in Arizona were inclined to plaster their establishments with such signs, they could already be doing it. Perhaps the question that needs to be addressed is, why are opponents of the new law so convinced that it was written specifically to promote "anti-gay" discrimination? The purpose of the new law seems to be to protect business from being sued for claiming a religious basis for their philosophy and practice. The term "gay" is not found anywhere in the bill. Could it be that homosexual advocates just generally oppose anything which furthers religious interests? If so, perhaps the bill is well justified. Of course, one of the most frequently suggested idea from those opposing the Arizona law is that nobody is forced to operate a business in Arizona. Sort of a twisted "Love It or Leave It" slogan. Sad to say, any business owner who presumes to have a right to religious views would be well advised to think twice.